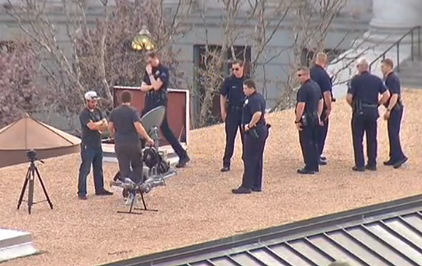 The 4/20 marijuana rally in Denver was scene to a nervous and typical reaction by US authorities to a private hexacopter with a camera flying overhead and filming the event. Denver police say they found two unidentified men flying a drone over the rally in Denver’s Civic Center Park. The men were asked to leave the top of the McNichols Civic Center Building because they didn’t have the proper permission. The FAA is now investigating this event, issuing several statements alleging that even private, non-commercial use of model aircraft may be a problem – if they don’t want you to, of course. “Anyone who wants to fly an aircraft — manned or unmanned — in U.S. airspace needs some level of authorization from the FAA. Routine operation of Unmanned Aircraft Systems over densely-populated areas is not allowed,” the FAA said in a statement. Did the persons operating the hexacopter fly below 400ft AGL? We don’t know, but it appears the burden of proof is on the side of the FAA. However, it is disturbing to see the FAA mix and match regulations from manned flight operations, controlled airspace and commercial UAV regulations and apply bits and pieces to effectively claim that they are to be asked for permission for any flying thing. The fact of the matter however is that they are not, and while flying a multirotor craft over a public event may not be the most politically sensitive thing to do, it remains to be seen whether the FAA can substantiate their claims – or whether they’ll just wait until new, restrictive regulations are being passed into law. The FAA has issued a fact sheet regarding the use of UAVs, which of course does nothing to substantiate whether a flight such as in Denver is illegal or not. It should be noted that no arrests were made, and all the police could do was to “ask” the pilots to leave the roof of the building from which they were controlling the craft. Our guess is that the US will see restrictive regulations and classifications eerily similar to the ones recently passed in Austria. Apparently, getting stuff into a prison is such a rewarding endeavor that some people risk spending up to 20 years in the very place they try to get in to. This is what happened to a group of four people trying to smuggle tobacco into Calhoun State prison. 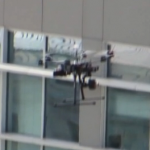 They were using what appears to be a a DJI Wookong on a Flamewheel F550 to fly the contraband into the prison complex, only to be caught red-handed by a guard who noticed the hexacopter hovering over the prison. Bottom line: Interesting idea, but reality is not like in spy movies. An ARTF package for a F550 based Hexacopter, or a F450 based Quadcopter, both including aluminium brushless gimbal for a GoPro, complete with motors, ESCs and flight controller. 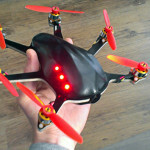 The real kicker is the price: Just $210 for the quadcopter, or $270 for the hexacopter. GPS is a $24 addon. As far as one can see there’s only two downsides here: The frame comes with the MultiWii-based flight controller… because it’s integrated. So if you break the frame’s PCB you will have to get a new flight controller. The second downside is that it’s unclear whether the more capable MegaPirate or other firmwares will run on this flight controller. Our guess is, it won’t. But other than that… frankly this is an amazing deal even if you just ditch the integrated flight controller, buy some F550/F450 baseplates without the integrated flight controller and stick a Crius AIO onto it. This is as cheap as it gets. Compare this with the less-capable DJI Phantom where the base model costs more than twice as much and doesn’t even include a gimbal, much less a high quality one as this. In fact, depending on where you buy, the DJI gimbal costs more than this entire set. 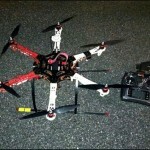 This is a sturdy nylon hexacopter frame with an integrated flight controller. And when we say integrated, we mean integrated. 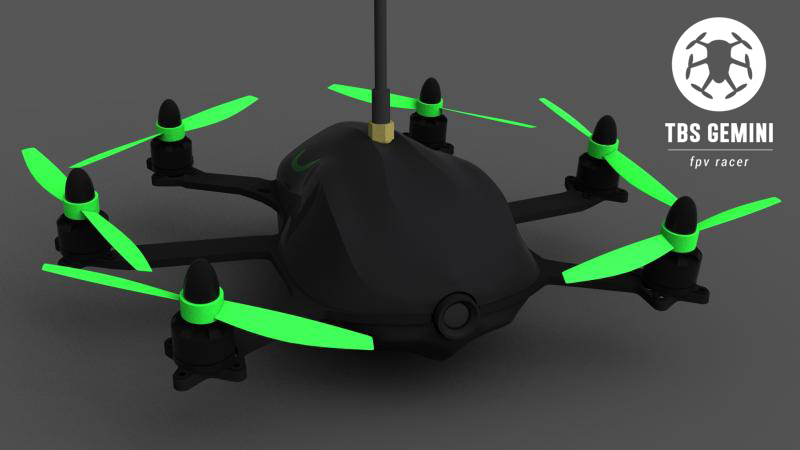 So for $230 you get an okay ARTF hexacopter kit – but you better never ever crash it. If you so much as crack the upper PCB during a crash or a rough landing, you have to replace the whole board with the flight controller. Not exactly a smart design.